Scream just feels SO RIGHT. 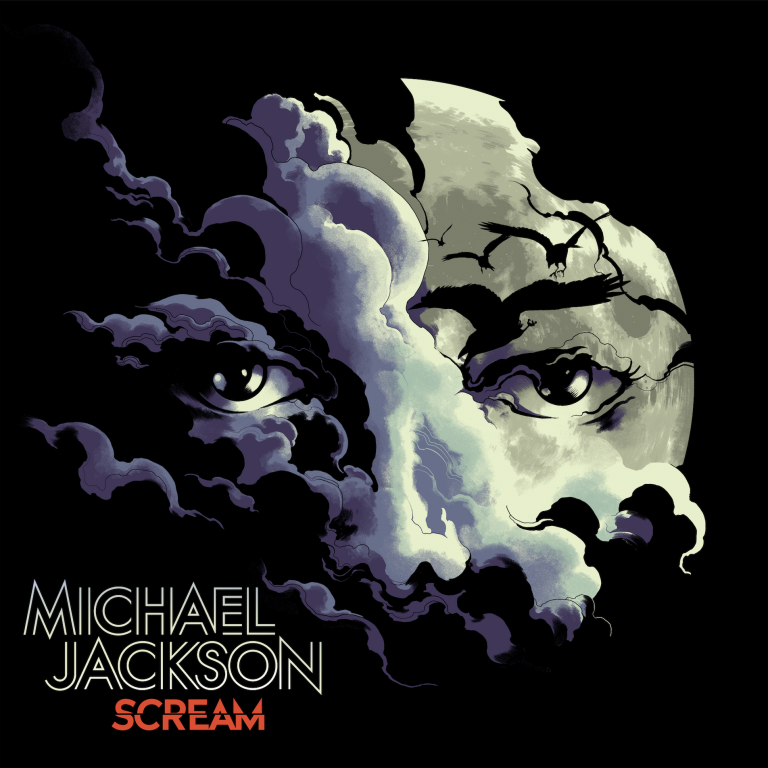 The timing for something like this couldn't be better; "Thriller" is already a perennial favorite of every Halloween playlist, and the famous track only got hotter when it was featured in the Stranger Things 2 trailer, so I suspect this release was culled together to capitalize on the nostalgia of older fans and fresh interest from new, younger fans in Jackson's amazing career. Smartly, the authors of this collection have put together an entire album with the same punch as "Thriller," adding in songs like "Blood on the Dance Floor" and "Ghosts" to create a really pumping, dance-able 70-minute album filled with dark songs about monsters, aggression, and distrust. The thing that I love most about this album is that they've also included songs from the icon's time in The Jacksons (aka The Jackson 5), represented here by "This Place Hotel" (aka "Heartbreak Hotel"), characterized by terrifying production and a real haunted house mood. Also check out "Torture," which was conceived and written by Michael Jackson but given to his brother Jermaine to sing at the last minute, with MJ handling backing vocals. This collection also includes Rockwell's "Somebody's Watching Me," which features Michael on the famous chorus. While pretty much all of these songs have been available before, the disc offers a new dance mix that edits together "Blood on the Dance Floor," "Dangerous," "This Place Hotel," "Leave Me Alone," and "Is It Scary" into one single track that makes being still nearly impossible. In a cool nod to fans and collectors, the booklet of the CD (this is also being given a double vinyl release) unfolds to reveal a creepy (and awesome) poster of Jackson in silhouette. When you scan the image with your smart phone and use a code via the Shazam app, the poster comes alive in a short "augmented reality" scene--complete with black crows, heavy fog, and that iconic light-up dance floor from the "Billie Jean" video--as a mix of Jackson's music plays. I champion this album because it makes for a really welcome addition to just about anyone's Halloween traditions. It's also worth noting that this is a budget release, and the CD is priced at under ten dollars (I paid $6.99). Furthermore, it serves as a reminder that Michael Jackson's music remains incredible, and Jackson himself was incomparable as a writer, performer, and producer. It's very clear that there was no one else like him, and maybe never will be again. Like Elvis before him, Michael Jackson simply changed everything. Listening to these songs reaffirms his status as The King of Pop while also feeling a lot like a really great horror movie: for over an hour, we're allowed to go on high-energy, almost savage journey into the mind of Michael Jackson, into his darkest moods and funkiest grooves. Stripped of ballads, moments of quiet, and any mercy whatsoever, this CD is an intense experience. When the music finally comes to a end, it's hard to say anything other than "WOW." Then you'll most likely wanna reach over and play it again. Check out Scream on CD, Vinyl, and Digital.